The 2015 relaunch of Subaru’s certified pre-owned program posted solid gains with a 64 per cent jump in registrations in the first two months in market. The new program, which boasts two tiers for qualifying units, additional warranty upgrades and subvented finance rates, hit the market on Jan. 5 and has proved to be an early winner for the Japanese brand. “For the month of March, we have more than doubled the number of registrations versus 2014,” explains Tom Opratko, manager of business management and certified pre-owned for Subaru Canada. Opratko says discussions of a revamp started over a year ago following the soft launch of Subaru Certified Pre-Owned in 2006. Back then, total volume levels for the automaker were relatively low – Subaru sold 16,000 new vehicles in 2006. Fast forward through the brand’s meteoric climb in North America during the doldrums of the Great Recession and the marque is a totally different player on the national stage. The OEM finished 2014 with over 43,000 units sold and has added new nameplates to the lineup – BRZ and XV – in recent years along with significant refreshes to Impreza, Forrester, Legacy and Outback. Opratko says the process started with dealers, who brought it to corporate’s attention that even with the volume growth, they were still having an issue sourcing vehicles that qualified for the program. Previous guidelines qualified vehicles younger than five years old and under 100,000 km. “The dealers pointed out that our standard lease through Subaru Financial Services is 24,000 km per year on a four year lease. The dealers were telling us they get cars coming back that are four years old with 105,000 km because the customer drove a little more or purchased some extra kilometres. Even though the vehicles were pristine, they wouldn’t qualify as a CPO unit under the technicalities,” he says. Discussions with warranty underwriter Motors Insurance followed and a revamped program was created. The new guidelines cover two tiers. The first is the same as before – fewer than five years old and under 100,000 km. Tier two covers vehicles up to eight years old with under 160,000 km. “Those ages and mileages line up with some of the current extended warranty products,” he says, adding it helps qualify sweet-spot vehicles around five years old with roughly 125,000 km. Qualifying vehicles also need a clean CarProof report – no structural damage, flood damage or rebrand but minor cosmetic issues are fine. Subaru says its inspection and reconditioning standards are higher than provincial standards with a 152-point inspection. 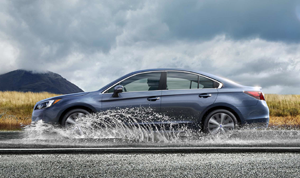 Subaru CPO vehicles also come with a factory-backed comprehensive warranty. “Many of our competitors are doing self-financed powertrain extensions, Subaru is bumper to bumper,” Joe Felstein of corporate communications says. The Tier 1 factory warranty runs for six months or 10,000 km; tier 2 extends for three months or 5,000 km. Head office also stresses there are a number of Subaru Protection Plan warranty upgrades available for dealers to market. CPO units additionally come with subvented finance rates and a $500 graduate rebate for eligible buyers. For Opratko, the importance of a strong CPO program is clear. It offers a viable option for younger drivers to get into the brand, helps deepen customer retention rates, acts as a gateway to new car sales and means more money for the dealer network through retail of higher-grossing used units. For Subaru, it goes one further: getting Subaru dealerships on the shopping lists of used-vehicle intenders. 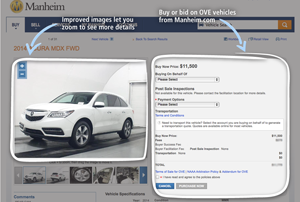 “When you look at our dealer sales versus some other brands, our dealers predominately sell new vehicles versus used. Some other brands are either tracking one to one or higher ratios for used vehicles to every new vehicle sold,” he says. The company says consumers don’t traditionally view Subaru dealerships as places to purchase used vehicles. When buyers come to a Subaru store, they are looking for a Subaru. They hope CPO will start grabbing drivers while they’re young and ensure the brand keeps them for life. And the timing seems perfect. AutoTrader.com’s latest annual CPO study released late last year showed that now more than ever, customers are increasingly considering CPO vehicles. Forty-four per cent of American new car shoppers surveyed say they were considering CPO for the first time, up from 22 per cent in 2013. 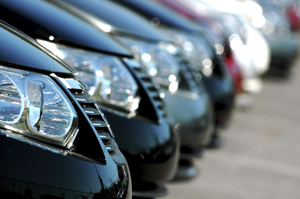 The same study revealed 84 per cent would pay a premium for a CPO vehicle, 77 per cent would likely buy the same brand again and 85 per cent from the same dealership. “CPO still isn’t clearly understood, so dealers and manufacturers need to ensure that they are communicating clearly – early and often – about what CP is so they can capitalize on these opportunities to build lifelong, happy customers,” says Michelle Krebs, senior analyst at AutoTrader.com. Unlike certain luxury brands, Subaru is not mandating its dealers participate in the program. Nor is it forcing the retail network to share in the financial risk related to residuals. Roughly two months after the launch and Opratko says he is happy with the level of dealer adoption. He reports that most of the 90-store network has signed up and it shows in the early success. CPO registrations through to the end of February were up 64 per cent over last year. The relaunch includes all new creative, logos and a refreshed website. The corporate team made new ad material and web templates available for the dealers, along with a variety of advertising templates for print media. Getting the word out on a national level is a web-based ad campaign on selected websites. Subaru reps also confirm it is finalizing a campaign to use Google search words for both the automaker and its dealers. The upstream portal, which is not restricted to just CPO units, will no doubt see more volume in the months to come. The closed online sales happen through ADESA.ca every Monday. No-sale units from that auction are offered in an open sale on ADESA.ca on Tuesdays and Wednesdays. Going forward, the program really only has the brand itself to battle. The company known for producing quality vehicles for loyal customers will have to lean heavily on its lease program to feed growing CPO desires. As touted in ad campaigns across the country, 97 per cent of Subarus sold in Canada in the last 10 years are still on the road. And as Felstein points out, its vehicles have maintenance schedules stretching up to 500,000 km.